Using Google Docs To Write An Ebook! Google Docs is a tool that lets you create, edit, and share documents online. It is like Microsoft Word, but it lives online “in the cloud”. Best of all, it is totally free. You just need a gmail.com account (also free) to have access. 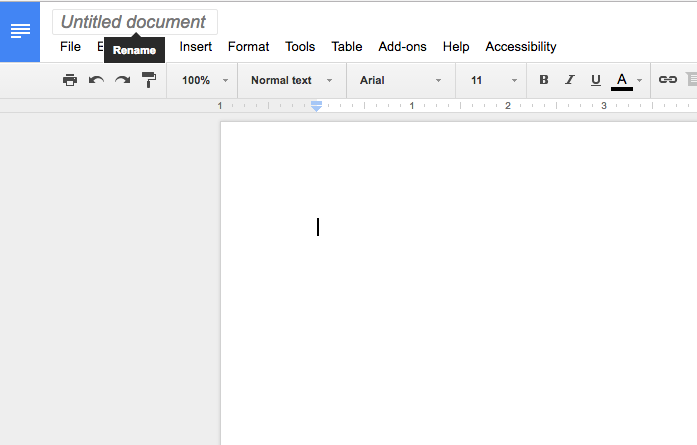 If you are not already familiar with Google Docs, you can get started here. All you need is a free Gmail email address to get access to the entire suite of Google “apps”. Google has lots of great tools that make it easy to write, design, and edit your book. 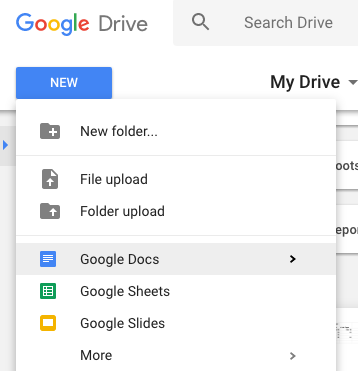 From Google Drive, select the New button, then choose the Google Docs option to create a new document. Rename your document from the top left-hand corner of the page. You can access the file at any time from your Google Drive, where it will be saved automatically. Simply double-click to open the file again. Google Docs is very similar to Microsoft word, and other word processing tools. You will find all of the same editing and formatting features you are used to. You may notice that there is no Save button for your files. This is because Google Drive uses autosave, which automatically saves your files as you edit them. Google Docs is a great way to write your book because it has loads of powerful editing tools, as well as the ability to share your document with others and track changes that are made online. Don’t worry about formatting your book with fancy fonts or adding images yet. For this stage, it’s important that you keep your content as basic as possible. Now you are ready to convert your book into an ebook. Learn how to create and edit ebook files. No coding required!